After success as the frontman of Pavement, Stephen Malkmus's solo career is marked by the smarts, eclecticism, and cheeky surprise. 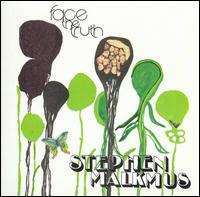 'Face The Truth', Malkmus's third solo effort, toes that line, yet it is his most diverse outing, with a mix and match style that references a range of influences, wrapping it all in his inimitably surreal sensibility. Though strum heavy, guitar based songs like 'Freeze the Saints' and 'Post-Paint Boy' recall the open road Americana of Malkmus buddies Silver Jews, and 'No More Shoes' lays down a bluesy groove with Pavement-esque guitar interludes, elsewhere the album reveals electronic and post punk elements. 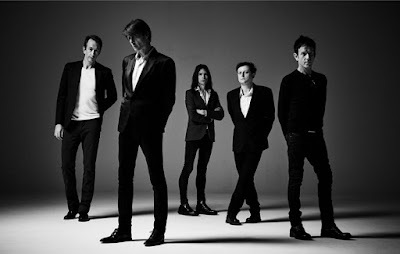 The angular, synth-heavy opener, 'Pencil Rot', for example, is full of herky jerky new wave tunefulness, and is one of the disc's highlights. 'I've Hardly Been' sounds like a cross between Depeche Mode and Captain Beefheart, while 'Kindling for the Master' starts off with a bizarre verse before dropping into a trance like atmosphere flavored with spacey keyboards and effects. As always, Malkmus's lyrics are literate (he tosses off words like "elucidate" and "quagmire" with ease), witty, and enigmatic, and his voice quavers and breaks with more authority than ever. Although 'Face The Truth' will sound familiar to longtime fans, it is full of fresh surprises.